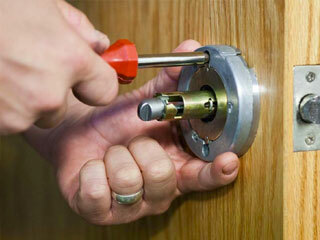 Need a professional SIMI VALLEY locksmith? Lock Specialists provides locksmith services to Simi Valley residents and businesses from their main office in the city of Simi Valley, California. Simi Valley is part of Ventura County, and is only a small portion of the area that Lock Specialists cover. With Los Angeles only 30 to 40 minutes away Simi Valley is actually a part of the Greater Los Angeles area and is surrounded by Moorpark, LA, Thousand Oaks, Newbury Park, Woodland hills and other areas around and near the Santa Susana Mountain Range and the Simi Hills, including the Conejo Valley, on the edge of San Fernando Valley and Ventura County, all of which are service areas for Lock Specialists for both residential and business locksmith needs. Services range from simple rekeying of doors and locks to full security alarm systems, panic door installs and new lock installation, lock outs, making new keys and much more. The Simi Valley area is famous for The Ronald Reagan Presidential Library, where the former president, who was an actor was buried in 2004, and that library has hosted several Republican primary televised debates. Simi Valley was also rated as one of the top ten safest and happiest cities in the United States, using crime statistics. The population of the city is known to have a median income average of $70,231 with the national average of $62,527. The presidential library has hosted many political speakers and has been used primarily by Conservative speakers and has been hosting numerous Republican primary debates, including the first debate in the 2008 presidential election, the 2012 presidential election, and the second primary debate for the 2016 presidential election. And one more fun fact about the Ronald Reagan Presidential Library in Simi Valley is that it has been visited by more than 1 million people since it opened. Not many businesses or libraries can hold those bragging rights, but this library can. And the cool fact about the library is that the library is connected to a hangar that houses a very special plane – Air Force One which is a Boeing 707 SAM 27000 – and this particular plane served presidents Nixon through G.W. Bush, and is available for tours and there are other amazing presidential items like the various automobiles which were used to transport the president, as well as Marine One, the presidential helicopter, located at the Library in Simi Valley. Many of Simi Valley’s streets and knoll areas were used in films including the former Corriganville Movie Ranch and its Fort Apache film set, which is now known as Corriganville Regional Park, located at the Santa Susana Knolls. Many television series were filmed there during the 1950s, using the landscape to represent other states and desert type areas like Texas. Simi Valleys vast other areas includes Big Sky Ranch, where the Little House on the Prairie was filmed. The frightening film Poltergeist was filmed on Roxbury Street, which lends a scary overtone for Simi Valley. and Welcome Danger a movie made in 1929 was filmed along with numerous others in Santa Susana. There were even famous railroad events that happened in Simi Valley. The Montalvo Cutoff, a railroad line opened by the Southern Pacific Railroad on March 20, 1904, was created to make the alignment of its Coast Line, run east-west through the valley. In 1905, the longest train tunnel in the United States, at least at that time, was completed at the east end of Simi Valley. That very long tunnel – which has stood the test of time – and is named Tunnel #26 – still stands today. This tunnel provided fast underground service linking Simi Valley to the San Fernando Valley. Originally this particular area of Simi Valley was served by the Santa Susana Depot as a combination passenger and freight pit-stop and was built by Southern Pacific and was conveniently located on Los Angeles Avenue near Tapo Street. The station remained in use for the following 60 years until changes in the business for the railroad industry no longer made this depot profitable for the train lines. purchased from Southern Pacific. The station is located at 5050 Los Angeles Avenue, west of Stearns Street. Currently not only does the train industry use this station, Simi Valley Transit buses stop on Los Angeles Avenue in front of the station. There are connections from Simi Valley north to Santa Barbara and San Luis Obispo, and south to Los Angeles, Orange, and San Diego Counties. These trains, as well as the buses, run 7 days a week and stop in Simi Valley several times each day. So Lock Specialists is proud to serve the apartments, houses, homes, businesses, stores and buildings of Simi Valley, California with experienced locksmithing services 24 hours a day, 7 days a week. 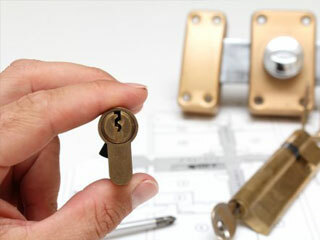 Locksmith Specialists in Simi Valley can quickly provide professional lock replacement on your home. Locksmith Specialists in Simi Valley is the first choice for getting your “rekey” done affordably, quickly and professionally. 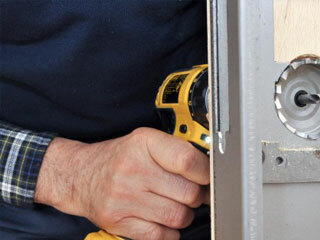 Locksmith Specialists are able to quickly provide customers with professional door lock replacement in Simi Valley.